All puppies are vet checked and vaccinated at the time of adoption. The parents and grandparents have been regularly checked and cleared of any congenital health issues. We prefer not to ship puppies and would like for you to pick them up at our home so you can see the environment they are being raised in. However, we will do our best to accommodate your needs. A 25% non-refundable deposit is required to hold a puppy. 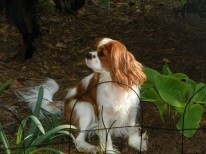 Our Cavalier King Charles Spaniels are AKC registered. 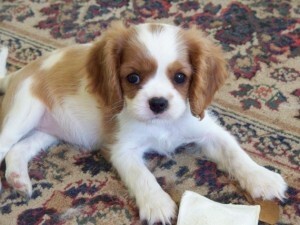 We sell pets and breeder/show quality dogs. 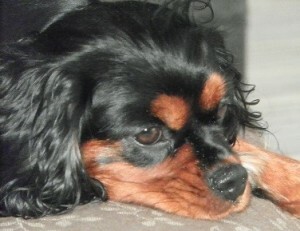 Prices vary depending on our evaluation of each dog. Please let us know what you are interested in. Please Contact Us or call Anna or Bill at 704-431-4830.